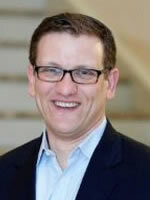 Mark A. Semer joined Kekst and Company in 1993 and is a Managing Director of the firm. He advises clients in several different industries with respect to a wide range of corporate communications issues. As co-head of Kekst’s alternative investment practice, Mark represents several investment firms and their portfolio companies in a wide range of matters, including transactions, fundraising, crisis communications and firm profile building / thought leadership. He works closely with other client advisors, and has extensive relationships with journalists who cover the sector. Mark received a bachelor of arts in political science from Columbia University.